If you want cheap (I mean it, literally) bed and breakfast, then this place is for you! Located somewhere near Aguinaldo Highway after Soto Grande, LilyBoy's Bed and Breakfast has got to be one of the worst places to stay in the city of Tagaytay. Last weekend, a close friend of mine from college just got back from the US for a short vacation. 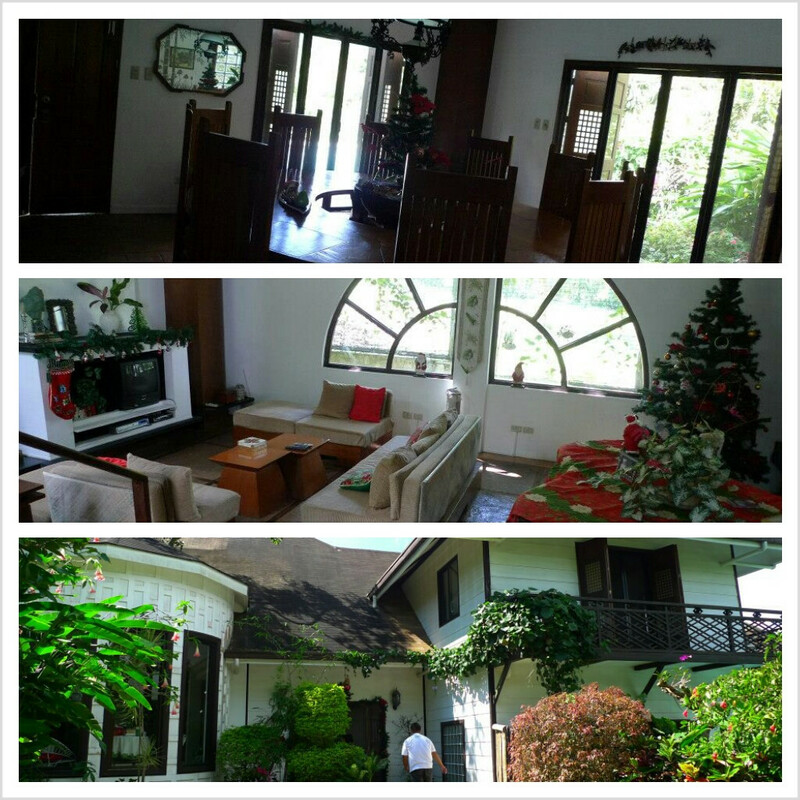 Since her schedule's quite packed for the holidays, we decided to just go to Tagaytay and enjoy the cool weather. Location is a bit hidden/liblib, far from all the restaurants near Taal Vista hotel. The street going to LilyBoy's doesn't even have street lights making it feel unsafe specially for local tourists like us. One of our rooms in the family suite only has 1 light. You'll definitely get that eerie feeling like you went there for ghost hunting instead of having a fun filled vacation and bonding with your friends. The bed sheets smell old as if they haven't washed it for a month. It probably has bed bugs all over 'coz 3 of my friends felt really itchy after lying down the bed. Locks were busted. It was easy to open the doors even when locked. Kitchen.. don't mind using the kitchen. It looks old and dirty. Would rather eat out. Photo from the family room. The beds don't look comfortable at all. See the black part a.k.a the window? There's supposed to be glass installed but I have no idea why its open and covered by dark curtains. Malamok sa gabi niyan for sure! My point is.. the place needs refurbishing. Period. We could have stayed in a much nicer place for the price we paid LilyBoy's Bed and Breakfast. I just hope the owners get to read this post as soon as possible. The place is nice but if they don't have plans of maintaining then might as well not open it to the public. Don't get me wrong guys. It's a pretty (old) house. But for the price we paid for? Definitely not worth it. P.S. Sorry if we didn't have photos of the place during night time.. the place was that HORRIFIC and documenting our "escape" wasn't top of our priority. 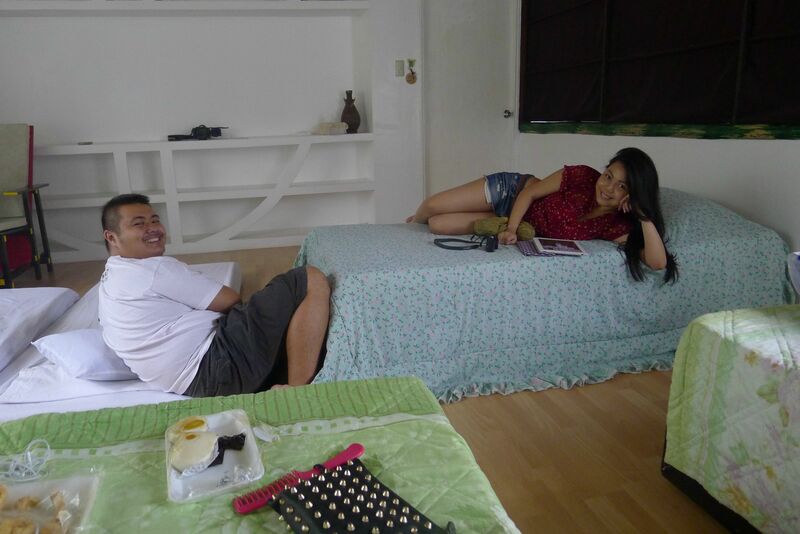 My friends decided to check out and move to Estancia Hotel instead. Whew! Yes! we stayed at their villa and we also felt the same! Nakakatakot. Sa sobrang eerie ng feeling, We brought out all the mattresses from the room and decided to sleep at the living room altogether! Liblib na madilim pa. I agree, all were old and needs refurbishing. Their staff is not customer oriented as well. may dumalaw lng smen nung gabi. nung umaga pinapabayaran pa smen ung sobrang headcount dw. Wow! Their breakfast tastes awful too. Seryoso? OA naman niyan. Buti sana if buong barangay yung pinapunta niyo dun sa lugar. Oh well, at least I know I'm not alone in terms of my review with the B&B. I hope someday this post will reach the management. Good for you! :) Do you have photos from your recent stay? Please share by sending an email! :) Anyway, I dont mind going back. Very much willing naman ako to try their place again if mas maayos na siya ngayon.